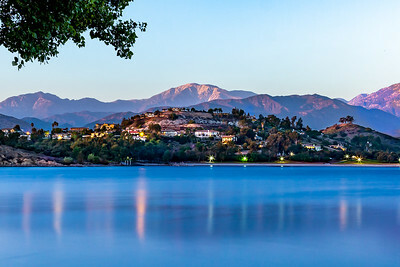 At Puddingstone last week (Sept 2018) and got this blue hour shot - Not much happening in the sky and a bit hazy, but a great summer evening. 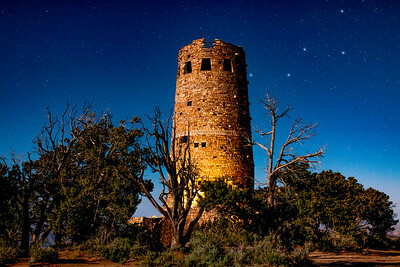 Our first visit to Desert View watchtower at Grand Canyon. It was a cloudy day, so we set our alarm to wake up at 2AM in hopes of a clear sky. We were excited to see stars out on this bright full moon night. It was a cold 35 degree May night. But wow, it was worth it. Can see Cassiopeia constellation? Took this picture on a very bright full moon night. 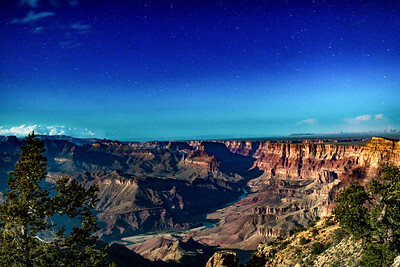 You can see the Colorado River as it makes it's way down this Grand Canyon. 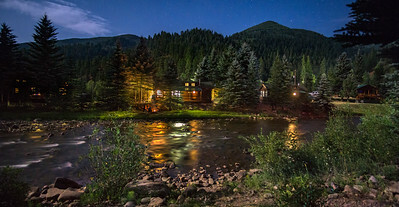 Beautiful cabin across the glowing stream. Priest Gulch Campground, Colorado. Wonderful stars over the parking lot at Zion National Park Lodge.